This drive follows California Highway 4 for most of the way from the Sierra Nevada mountains to the valley and Highway 99. The drive begins in Big Trees State Park, and heads west on 4 through Angels Camp and Copperopolis, then continues until turning south towards Escalon. 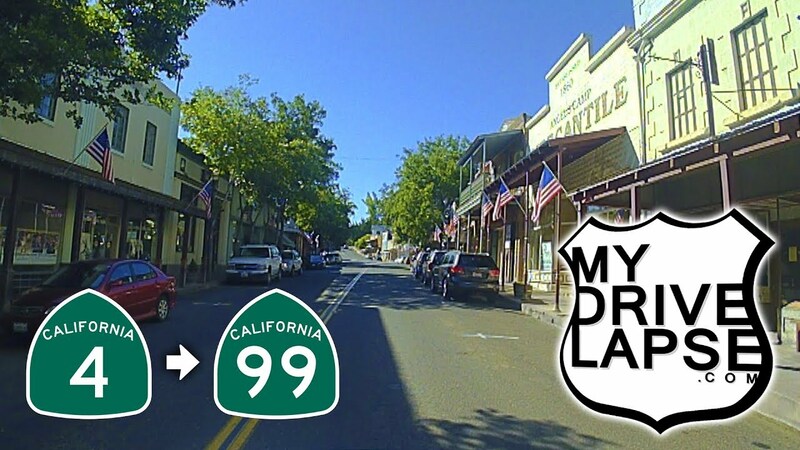 After some zig-zagging, the drive ends at the entrance to Highway 99 in Salida, California.